So I read it. I reviewed it. 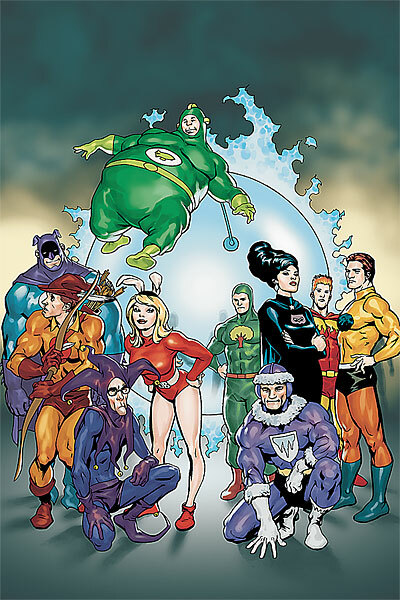 I liked it for what it was - a Silver Age-flavored story with a shoe-horned team-up. Saiz draws a magnificent book no matter who is in it, but his Doom Patrol is stunning. 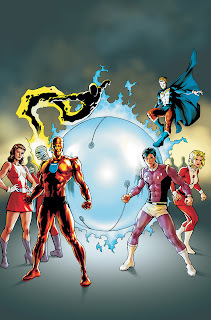 He captured the original essences of the team while giving them a high-polish Silver Age chrome coating. Good stuff there. 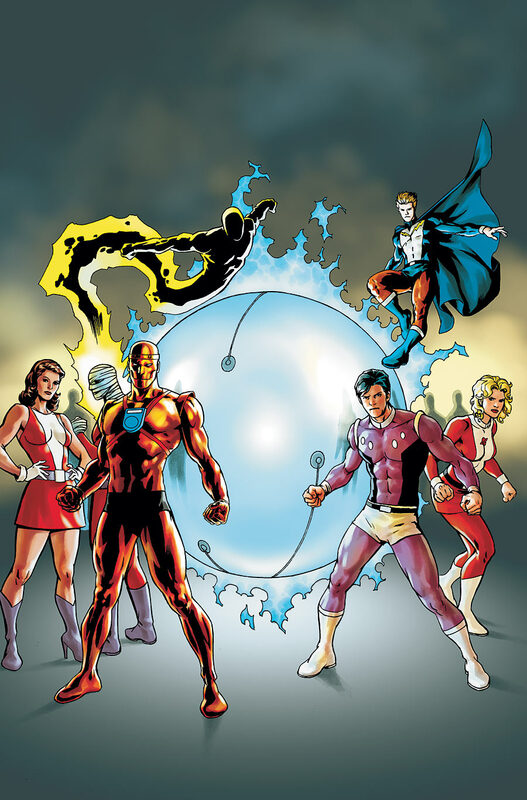 From the way this issue ended, it seems as though we may see the DP return next issue, apparently on June 23, alongside the Inferior Five and the Legion of Substitute Heroes. More Silver Age goodness coming up! The Source has a preview of the issue of The Brave and the Bold that came out today. Of course the preview doesn't include the DP at all. I haven't read it yet, as I've been working on some CBR reviews, but I will be reading it Thursday and reviewing it as well. Look for more here soon. Negative Monday #33: The Brave and the Bold #34!! Just a little public service reminder that a new issue of the wonderfully enjoyable Brave and the Bold is set to hit the stands this week (at least here in the States). and here's the cover (or a spiffy approximation thereof. Really looking forward to seeing Saiz's DP in action. He has a mastery of comic book figures that seems stripped from the very pages of the Silver Age, but gussied up in modern technique. Brad Meltzer may not be everyone's favorite writer, but his upcoming book, Heroes for My Son, is already an inspiration to me. 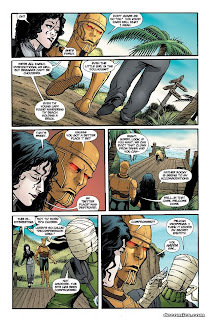 Doom Patrol #10 hits the stands this week, and Newsarama has a little sneak peek for you. They mislabeled it as Doom Patrol #1, but I suppose every issue s SOMEBODY'S first issue as Geoff Johns says. Here's a peek of the peek, or at least a little bit of Larry to tide you over until Wednesday. It appears as though this is a Ron Randall page, which is interesting to me as I thought Matthew Clark had dibs on the Crazy Jane pages. We'll learn more on Wednesday, I suppose.